I remember my first night in the new house. A posse of friends had formed a convoy of pickups, vans, and passenger cars packed to the headliners with worldly possessions, and we hogged Highway 9 from Ben Lomond to Boulder Creek at half speed for the better part of that Saturday in June several years ago. At the end of the day, we cracked some cold Sierras and collapsed into the patio furniture, askew as we had unloaded it and pointing roughly eastward among drifts of stuff, enjoying with exhausted sighs alpenglow in the Santa Cruz Mountains. The evening stars were just coming on. The night suddenly came alive with the seemingly far-off wail of an electric guitar, the sound charging the then unfamiliar neighborhood with a current of electricity. Only a few blocks from downtown, the forest suddenly had an unmistakable pulse, throbbing and very welcome. I thought we were hearing the band at the local bar. It took a couple of evenings spent outside enjoying the awakening summer in the new environs to realize it was our neighbor practicing in his studio a couple of doors down. 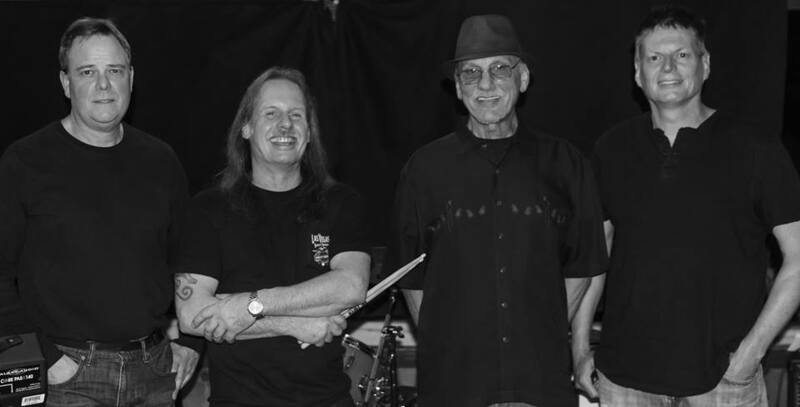 The NightDrivers are a brand new blues rock effort that started last spring and features top notch musicians who have all played in many Bay Area bands. Steve said he gets to play more improvisational instrumentals, “which are really fun to do.” Picture Robin Ford (“he’s my hero”) and Paul Butterfield’s “Screamin.” The NightDrivers are Steve Mac (guitar, vocals), Boulder Creek’s Mike Pupo (vocals, drums), Mark Howe (rhythm and lead guitar), and Tom Fidele (bass). He remembers the last phone booth on Bear Creek Road. “You get that far out there and you have to become self-sufficient,” he said. Catch The NightDrivers at Joe’s on Saturday, September 26 and at Henfling’s on November 28 and December 19. Originally written for and published in the Santa Cruz Mountain Bulletin.